From the moment Amazon announced that they were introducing the Amazon Echo, I was on board. Not only was I an early adopter, but there are now over 8 Amazon Echo's in my home including the Echo Plus, Dot, Spot, and Show. 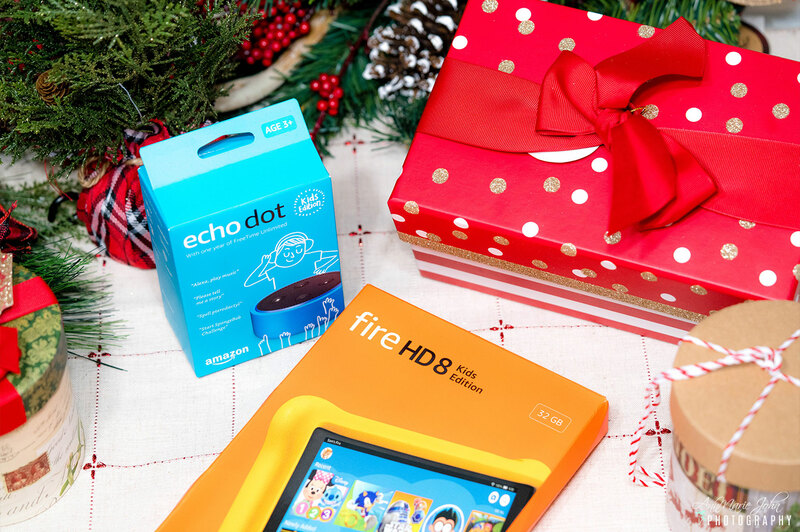 However, I digress, today's post is sponsored by Amazon, but I'm going to share with you a few reasons why the Echo Dot Kids Edition and the Fire HD 8 Kids Edition tablet should be under your tree this holiday! This post was sponsored by Amazon as part of an Influencer Activation for Influence Central, and all opinions expressed in my post are my own. Alexa has been my companion for the past almost 4 years, and while she's always been hands-on and available for me as an adult, I had a few concerns about edits when it came to Madison, so I was once again thrilled when I found out that they were introducing the Echo Dot Kids Edition. I knew I just have to have it and pre-ordered it. You may remember me sharing about it once we had it in our hands as we got it on release day. So why do I ALWAYS recommend Amazon devices and in particular the Echo Dot Kids Edition and the Fire HD 8 Kids Edition tablet? Here are my reasons! Madison originally had the Echo Dot in her room, but it was difficult filtering her music since I had no control over it. Now thanks to the Echo Dot Kids Edition, I no longer have that worry. Music with explicit language is filtered out, so she only gets the clean version EVERY SINGLE TIME! Not only do I have access to a parent dashboard so I can review all her activity, but I can set daily time usage limits as well. I can even drop in and speak with her from the other Echo devices in the other rooms, and she's able to call me from her Echo Dot Kids Edition when I'm out of the house. What's one of our favorite feature? Madison enjoys bedtime stories; however, I'm not always available or sometimes, I may just not be feeling well enough to go into her room to read a bedtime story. Did you know that Alexa is a storyteller as well? Madison has merely to say "Alexa, tell me a bedtime story please," and voila, a bedtime story will be read to her, and Alexa even acknowledges that she said please. Thereby reinforcing good manners. Amazon FreeTime Unlimited is included. 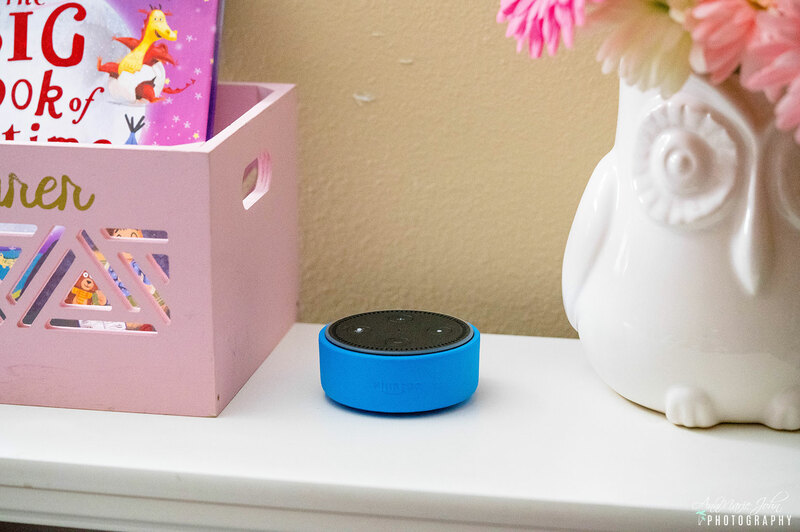 Each Echo Dot Kids Edition comes with 1 year of Amazon Free Time Unlimited which gives her access to hundreds of hours of content that are not only fun but educational too. She gets ad-free radio stations and songs, and even games and skills from her favorite Disney and Nickelodeon and so much more. When the year is over, as a Prime member, we pay just $2.99 or $4.99 if you aren't a Prime member, and you can cancel at any time by contacting Customer Service. The Echo Dot Kids Edition comes with one of the best warranty I have yet to see in a child's device, except for the Fire HD 8 Kids Edition tablet. You get 2-year worry-free guarantee. As a child who could destroy items without even touching it, that was a bonus for me. If she breaks it at any time during those 2 years, Amazon will replace it for FREE! No questions asked! This new edition is the latest generation of Amazon's best selling kids tablet. No matter what you may think, this is not a toy and is a real tablet with an 8" HD display, quad-core processor, and up to 8 hours of mixed-use battery life. And if you want extra storage, merely add a microSD card. The warranty is the same as the Echo Dot Kids Edition, so you get that 2-year-worry free guarantee if your child happens to break it. However, we have had three of these so far, and not one of them has broken. It also helps that they come with a kid-safe bumper that protects it when dropped. 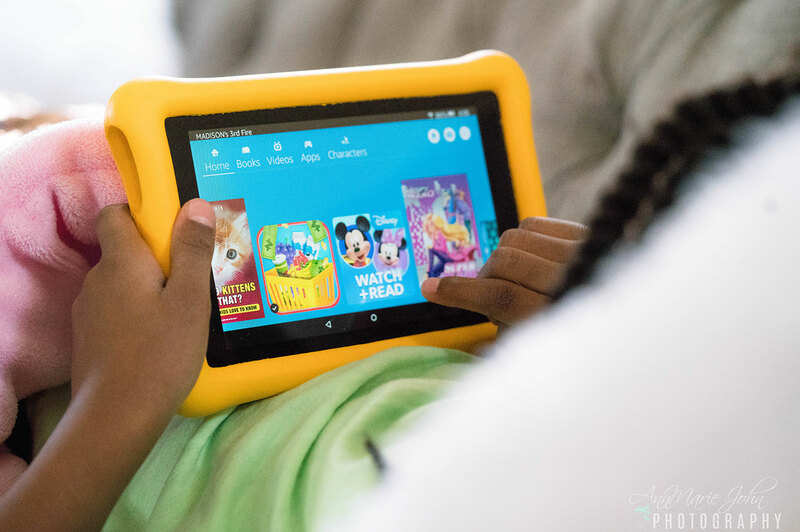 The Fire HD 8 Kids Edition tablet also comes with an included 1 year of Amazon FreeTime Unlimited that gives your kids access to over 20,000 popular books, videos, Audible books (coming soon! ), apps and games, and educational content from PBS Kids, Nickelodeon, Disney, and more. Spanish content is also available at no extra charge and is included in your subscription. Unlike other tablets, the Fire HD 8 Kids Edition has an optional Kids Browser that features tens of thousands of kid-safe websites and web videos, so I am confident in the knowledge that Madison will not visit a site that is "questionable." There is also a Parent Dashboard (also available in Spanish) that provides daily activity reports that help me review the content she's using in FreeTime. This determines the time limit I set. I can also set educational goals and even enable or disable her web browser without me even being near. Both these Amazon devices have brought Madison and me closer together. We not only have discussions based on the books she's read, but we also sing along to songs, play games and even do simple recipes together in the kitchen while listening to music. We are both in love with the Alexa Skills and have also made a few of our own that we can use together. There is so much Alexa can do, and her skills are always growing. 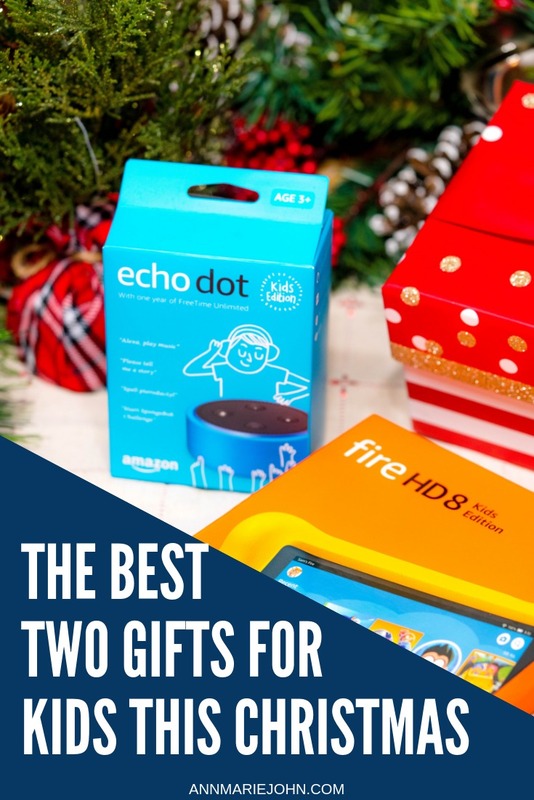 So if you're still undecided as to what to give your kids, or even yourself this holiday, these two Amazon products: the Echo Dot Kids Edition and the Fire HD 8 Kids Edition tablet should entirely be on your list.